Welcome to the Oshawa home inspector section. Bateman Inspections is ready to complete your detailed home inspection in Oshawa and the surrounding communities for you. Bateman Inspections can answer all of your home inspection questions, including any questions you may have as a result of a home inspection completed by another Oshawa Home Inspector. 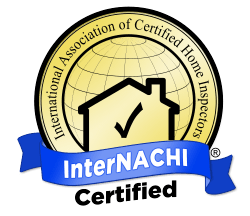 I am a home inspector certified by the International Association of Certified Home Inspectors (InterNACHI), the world's most elite, non-profit inspection association. 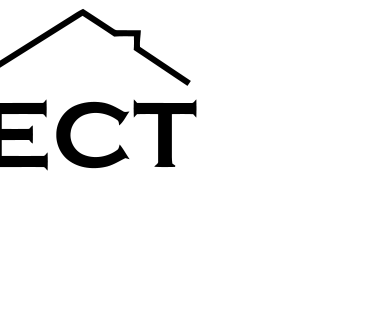 It is my goal to offer the best and most complete home inspection in the Oshawa area. Historians believe that the area that would become Oshawa began as a transfer point for the fur trade. Beaver and other animal pelts were trapped by local natives and traded with the Coureurs des bois (voyagers). Furs were loaded onto canoes by the Mississauga Indians at the Oshawa harbour and transported to the trading posts located to the west at the mouth of the Credit River. Around 1760, the French constructed a trading post near the harbour location; this was abandoned after a few years, but its ruins provided shelter for the first residents of what later became Oshawa. Most notably, one of the fur traders was Moody Farewell, an early resident of the community who was to some extent responsible for its name change. In 1822, a "colonization road" (a north-south road to facilitate settlement) known as Simcoe Street was constructed. It more or less followed the path of an old native trail known as the Nonquon Road, and ran from the harbour to the area of Lake Scugog. This intersected the "Kingston Road" at what would become Oshawa's "Four Corners." In 1836, Edward Skae relocated his general store approximately 800 m east to the southeast corner of this intersection; as his store became a popular meeting place (probably because it also served as the Post Office), the corner and the growing settlement that surrounded it, were known as Skae's Corners. In 1842, Skae, the postmaster, applied for official post office status, but was informed the community needed a better name. Moody Farewell was requested to ask his native acquaintances what they called the area; their reply was "Oshawa," which translates to "where we must leave our canoes." Thus, the name of Oshawa, one of the primary "motor cities" of Canada, has a name meaning "where we have to get out and walk!" 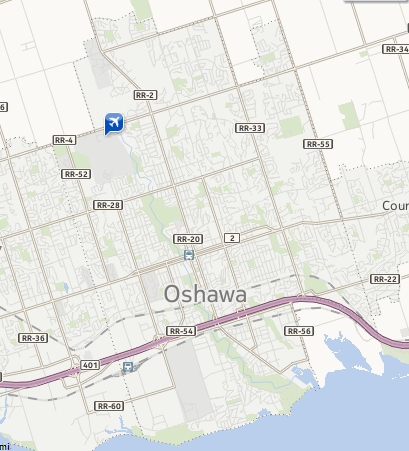 The name "Oshawa" was adopted and the post office named accordingly. In 1849, the requirements for incorporation were eased, and Oshawa was incorporated as a village in 1850. The newly established village became an industrial centre, and implement works, tanneries, asheries and wagon factories opened (and often closed shortly after, as economic "panics" occurred regularly). In 1876, Robert Samuel McLaughlin, Sr. moved his carriage works to Oshawa from Enniskillen to take advantage of its harbour as well as the availability of a rail link not too far away. He constructed a two-story building, which was soon added to. This building was heavily remodelled in 1929, receiving a new facade and being extended to the north using land where the city's gaol (jail, firehall & townhall) had once stood. The village became a town in 1879, in what was then called East Whitby Township. Around 1890, the carriage works relocated from its Simcoe Street address to an unused furniture factory a couple of blocks to the northeast, and this remained its site until the building burnt in 1899. Offered assistance by the town, McLaughlin elected to stay in Oshawa, building a new factory across Mary Street from the old site. Rail service had been provided in 1890 by the Oshawa Railway; this was originally set up as a streetcar line, but c. 1910 constructed a second "freight line" was built slightly to the east of Simcoe Street. This electric line provided both streetcar and freight service, connected central Oshawa with the Grand Trunk (now Canadian National) Railway, as well as the long-defunct Canadian Northern (which ran through the very north of Oshawa) and the Canadian Pacific, built in 1912-13. The Oshawa Railway was acquired by the Grand Trunk operation around 1910, and streetcar service was replaced by buses in 1940. After GM moved its main plants to south Oshawa in 1951, freight traffic fell and most of the tracks were removed in 1963, although a line to the older remaining "north" plant via Ritson Road remained until 2000. What is your Inspector missing?